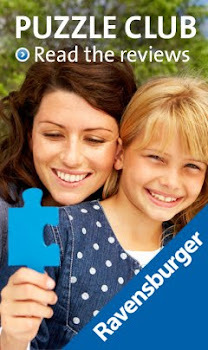 I have been very fortunate to become part of the Ravensburger Puzzle Club which means I get to actually sit down and complete a puzzle. This is my first puzzle that I have been sent to review, when I sat down to begin, it felt very nostalgic, I can remember sitting with my nan as a young child, she always used to have a puzzle on the go, and when I went to visit, I would help her to fit the pieces. 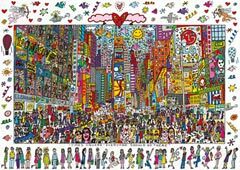 This jigsaw is a 1000 piece puzzle by James Rizzi, depicting Times Square. I have found there are two types of puzzle people, the random, put pieces together type - definitely my husband and the organised, split into outside and inner, which applies to me!! The first thing I noticed was how well made the pieces are, they are very strong and not at all flimsy, meaning the puzzle fits together very easily, each piece is individual, so there is no mixing up where pieces go. I sorted all of the outer edge first and assembled that, the actual fitting together of the outer edge and the border was quite easy for this puzzle as there were distinct areas that could be grouped together. Once this was achieved I then had to set to work on the people and the buildings!! Which wasn't as easy, the older children would walk past and find another piece that fitted, so it really was a joint effort. I have always loved playing Monopoly, when I was a child, a game of Monopoly would go on forever, in fact we used to play it in the evening and it would get left there until the next night because it would take so long to finish a game. To start the game, each player is given a certain amount of money, now this is the first improvement, the money is chunky and not flimsy pieces of paper that get blown off the table every time someone closes a door, so chunky that the little one took quite a liking to it and continually tried to chew it!! As it is the first person to a million, there is no need for large amounts of each denomination, so they all fit rather nicely into the money holder, placed in the middle of the board, and no-one has to be the banker as it is easy to help yourself. The playing pieces are so cool, you start off with a choice of scooter, paper aeroplane, toy car or a rowing boat and you can progress to two larger sized vehicles, but beware, you can also shrink back down to your little one as my very cool bike got demoted back to a tiny scooter. You move around the board and it still has the traditional Go To Jail, actual jail and chance cards, but each property that you land on is either bought or put up for auction, which got very entertaining and competitive as the children kept upping the price, I ended up paying £25,000 for a property that was worth £5,000 but I HAD to have that property! The children really enjoyed playing Millionaire Monopoly and Neva the 9 year old thought it was excellent because she won, although I had built up quite a good (if a little expensive) property collection, but that is not what this game is about, it is being shrewd and making a quick million. A very entertaining and quick to learn game, which meant all of the children aged 9 and above were able to play by themselves, kaide aged 6 was on my team, although he loves maths, so was my own personal banker. I would definitely recommend Millionaire Monopoly, especially for a family with older children, a great twist on the original game and a much quicker game to finish!! I'm doing the Jenny Craig! 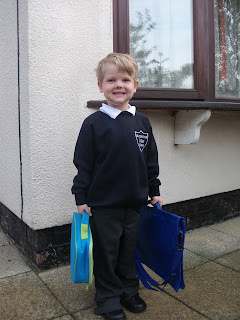 If you have been following my blog, you will know that earlier this year I made the decision to shift the baby weight, however the only thing that I did learn was that I was rubbish atdieting and exercising and I am too much of a junk food eater, so when I was given the opportunity to try the Jenny Craig plan, consisting of Breakfast, lunch dinner and snacks being delivered to my door I jumped at the chance!! Two weeks ago a very large box arrived filled with lots of packets and dishes, a lovely folder and detailed instructions. I decided that I would begin the plan on Monday, I weighed myself Sunday night and weighed in at exactly 10 stone, now I know to a lot of people that is not heavy but for my 5ft 2" frame, I should be a lot less, my ideal weight would be 8 and a half stone ish. I was assigned Alex as my personal consultant, who rang me at the alloted time Monday morning to discuss the plan and the diet food, to also check that I had received everything correctly, we discussed my goals and how to stick with the plan. The one area I needed to work on was ensuring I had breakfast when I got up and not three hours later after the children had gone to school and I had a minute to sit down, as I was in fact starving my body, so this was noted, although I couldn't promise it would happen every day!! My own personalised menu was sent to me, listing which jenny craig meal I should be having, along with extras I could add to it to make a more hearty meal. The first thing that shocked me was how much I didn't eat throughout the day, well not proper food, more like high sugar and fat snacks!! I can eat pretty much anything, although I am not a fan of Tuna, so that seemed to be the only meal I wasn't too keen on having, but they do provide you with an alternative which has been the most helpful document, knowing what quantities I should be aiming for each meal. The meals are varied and on the whole very tasty, the only one I really did not like was the Pasta Bolognese, but other than that they have been very nice. 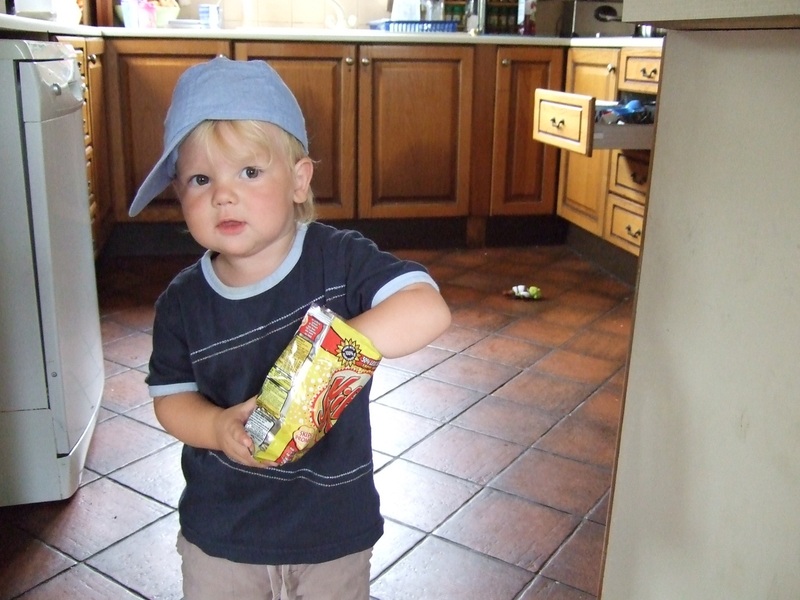 My cupboards and fridge are stocked with much healthier choices, which in turn meanthat the children are also opting for the fruit instead of a bag of crisps or a chocolate bar, so everyone's a winner. After five days of folllowing the plan, I was amazed when stepping on the scales to find that I had actually lost 8lbs, so alreadya third of the way to my target, although I suspect this week will not be quite so dramatic, especially as I had kaides birthday which involved a meal out and birthday cake!! Come back in a few days to find out this weeks verdict!! Toyologist - Hex Bug Scarab Review by Hex Mum Mandi ! When we received the list of toys that we would be receiving in our first box as a Toys R Us Toyologist, this one made me chuckle! This little Green bug is very realistic and as soon as I switched it on it was difficult to catch! The crawling toddler wasn't too sure to start with and crawled in the opposite direction, the older children, however, thought it was great and began hatching plans to scare their insect phobia nan with the Scarab. The way that it flips over is fascinating and I am sure the makers had great fun designing this. As you can see the big brave Cockerel isn't so brave now! I think Asa may be swiping this toy to keep in his pocket to deter his stalker. Overall opinion: The Hex Bug Scarab is very fun to watch for a little while, although it does use batteries very quickly and the level of entertainment is good, but it doesn't do much else, other than scuttle around the floor and flips back over when you put it on its back, which is pretty cool, but play value is limited. 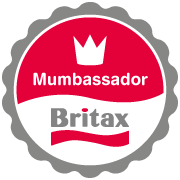 Although they have yet to test it on Nanny and Grandad in the Hex Mum residence. 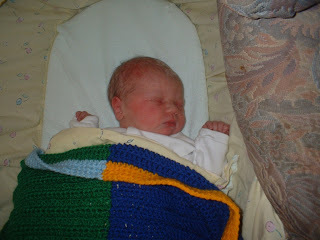 Today Kaide celebrates his 7th birthday, I wrote about his birth last year, you can read about it here. Our second little boy who we named Kaide Ronald Peter Morrison. Our little toddler who could always be found with some kind of food in his hand! As you can see, at aged 3, he still has a good appetite! 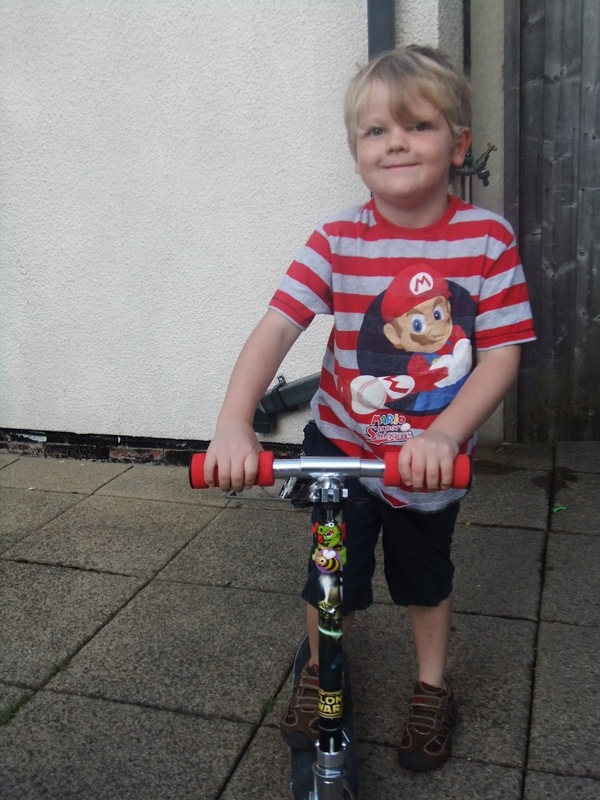 Kaide is a very active little boy and loves any form of sport or physical activity, he never sits still. 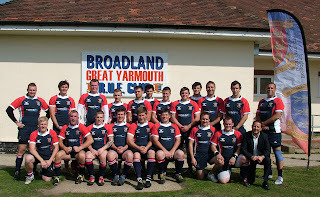 Last Saturday Asa began his 16th Rugby season at Broadland-Great Yarmouth RFC, they were playing away at Fakenham, so we kissed him goodbye and told him to "catch a fly" when kaide was little he could never say "Score A Try" so it has just stuck!! The afternoon passed like any other, until I received a phonecall at 3.30 pm which was smack bang in the middle of the rugby match. Over the years I have had a few injury phone calls, busted knee, broken nose etc, but never any that required an ambulance and never so far away from home. I remained calm and waited for an update. My first logistical problem was retrieving Asa's car from Fakenham Rugby Club! A good hours drive away, but thankfully on the way to hospital Asa rang to say he had actually gotten a lift with one of the lads, so his car was at the clubhouse, only a ten minute drive away and he was being taken to the Norfolk and Norwich hospital,a 40 minute drive from home, in fact at the time he was more concerned about me fetching the car, a quick phonecall to my dad and both parents came round, mum to sit with children, dad to drive me to pick up the car, which was a task in itself!! I had an email at 7.30pm to say just seeing the Doctor, oh and a lovely photo, which I will not post until the end in case you are squeamish, or you may not get to read the whole story.!! At 8pm I received another email, very complex stitching now starting, should be 45 minutes. In fact it wasn't 45 minutes it took over 2 hours to stitch internally and externally. 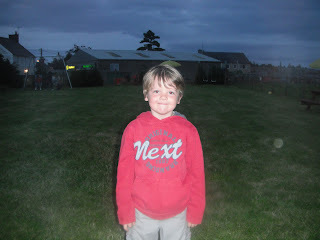 He send me a text message at 9.15pm to say If you leave now that should be about the right time, so that is what we did, after talking a couple of times on the phone to parents, I realised that they were not going to offer to look after the children whilst I collected my husband, so my choices were to let them collect him (I had already established this was not what he wanted) or load all six children into the bus and go find our daddy, so that is exactly what we did!! Ten minutes into the journey I realised I wasn't 100% sure where the hospital was located, luckily I had my tech savvy 14 year old daughter to find the directions!! When we were a few minutes from the hospital Asa rang to tell us he was ready and would be waiting outside, as I drove into the hospital, he rang me again to say he had just seen us and I had drove past him!! The ambulance was called, and although they came from Wisbech and would usually take a patient to Kings Lynn hospital, they very kindly agreed to take him to the hospital nearer to us, so I am eternally grateful to them. I would also like to extend my massive thanks to the two wonderful doctors that took two and a half painstaking hours to stitch both internally and externally and ensure my husband was put back together with the minimal scarring. 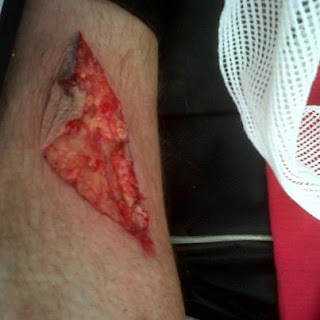 If you are squeamish, I would recommend not looking any further, suffice to say it is not pretty, but today he will have the stitches removed and I am sure he will be itching to return to the field. 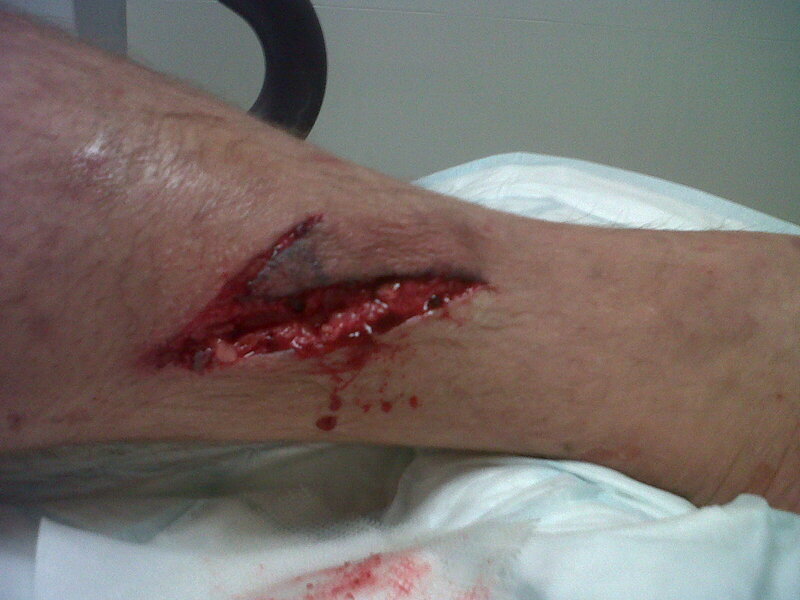 The first photo he sent me on the way to hospital! You will have worked out by now that our family LOVE playing games, of any sort, so when I was asked if we would like to review Drumond Park's New Plate Spinning Game, Spin Mania we jumped at the chance. 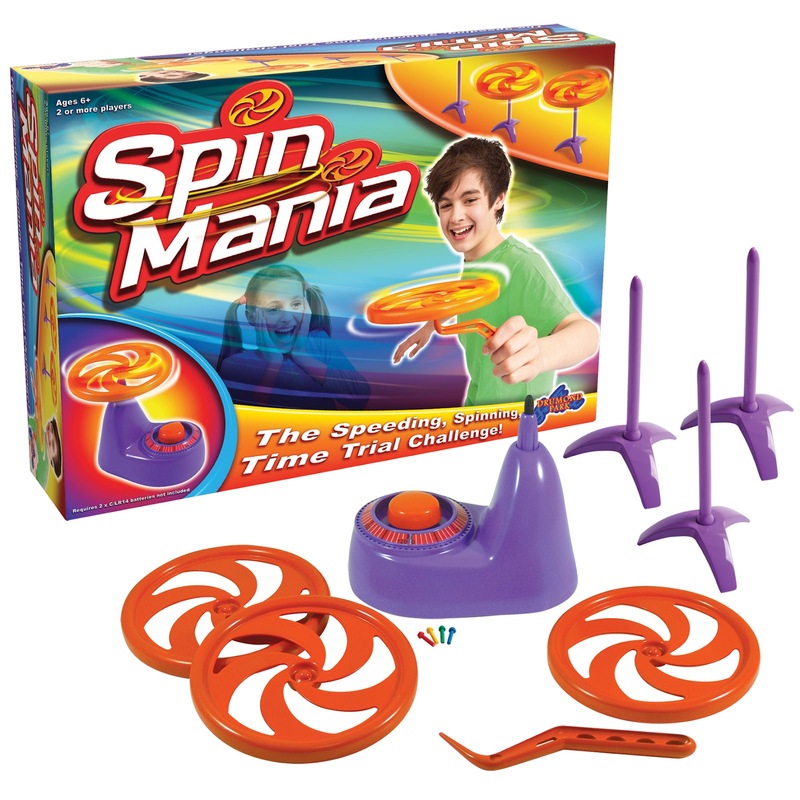 The game consists of a motorised Spinning Machine with an electronic timer, three orange helicopter-like rotary plates, a ‘spin-spike’, and three purple stands on which to set the plates once they are spinning correctly. The challenge is to ‘spin-up’ the three plates on the Spinning Machine one at a time – and then, using your spin-spike, transfer them, still spinning, to the three separate stands. All three plates must still be spinning on their stands as the player rushes back to the timer, stops the clock, and marks the time taken. Then the next player or players strive to beat the time recorded. What’s very special about this game is that the player’s opponents are going to make things very tricky indeed! Before they start, all players must agree the playing area – this will be a specific room or rooms inside the house, or a defined area outside. Before each person takes his or her turn, the other players secretly place the plate stands around the agreed area. Each one must be reasonably easy to see – they can’t actually hide a stand, although it can be quite difficult to get to – under a table, for instance. So players don’t just have to have excellent powers of concentration and steady hands – they need eagle eyes and a good turn of speed, too! Children can play and practise this clever and enthralling new action game on their own, but it’s much more fun to battle it out with one or more opponents in each round. And if they want to make a real party of it, there’s plenty of scope for team challenges, too! I have to be honest, when I first read about it, I was very scepticle about how it would work, but the children were very keen as we have plate spinning sets in our playhouse, so they were all pretty confident that they could balance them easily. The plate spinning machine is brilliant, my one year old loves sitting and just watching it spin the plates, but gets a little confused when he picks it up and the noise stops, which is a lovely safety mechanism, meaning that my three year old cannot walk around with it trying to play builders and `drill' my walls!! The older children got very competitive and I found myself climbing on chairs to reach purple stands that were placed on top of bookcases, or crawling on the floor, trying to put the plates under my coffee table. It really is a very compelling and challenging game, I love the fact that the game can be made easier or harder depending on who you are playing it with, meaning that all of the children could play together, with just a simple placement of the sticks in the most relevant places. It can also be played outdoors, however the chickens were not too keen, especially when one of the children came charging up the garden with a bright orange spinning plate!! It really is an entire family game that will have them laughing and trying to be as imaginative at they can, especially when it involves making it difficult for their parents!! 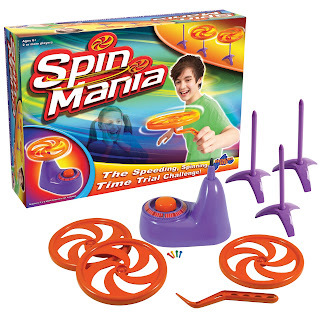 If you would like to win your very own Spin Mania game, I have one to give away, to be in with a chance of winning, just head over to Drumond Park﻿ and comment below which game is your favourite. When we received the list of toys we were going to review, the children were ecstatic about the chocolate lolly maker, they had seen it advertised on television numerous times and they all seemed very keen, I was not convinced! This was the first item out of the box and within five minutes I was being pestered to give it a go, luckily I had read the box which stated no chocolate included, so I had already bought a large bar of chocolate to give it a go. The box suggests chocolate drops, but a large bar worked just as well. The little dish to melt the chocolate was very easy to use and the chocolate melted quite quickly, although it was only big enough to melt enough chocolate for one lolly at a time, which was a little frustrating as we had six very keen and hungry children to satisfy! 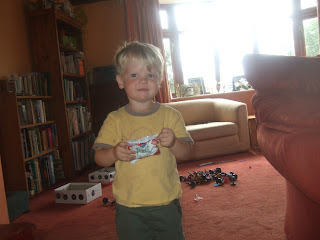 The moulds were easy to fill and they were sturdy enough, even for the three year old to help. We put them in the freezer for ten minutes and then added a message stamp on the back, then returned them to the freezer for a further twenty minutes. When the time had finished, we took them out of the freezer and they came out really easily from the moulds, the lolly shape and pattern was excellent and the mesaage could be clearly read on the back. Since getting the lolly maker we have been through five large bars of chocolate, and it was only when the older children were at school did I manage to test out the wrapping of them as they had been eaten before we even got to the wrapping process!! The price for the Lolly maker is £17.99, which I think is a fair price for the amount of enjoyment the children are getting out of it, although it would be even better if there was some way to include chocolate, perhaps in the way of a voucher, I am sure many top brand chocolate companies would be pleased to be associated with it. This is a great product for parent and child interraction, although I would not recommend it is done without supervision as I can envisage quite a large mess, although they did manage to make some lollies with the assistance of their fourteen year old sister, without destroying my kitchen. Next week is Kaide's birthday, so I am sure we will be making some Happy Birthday lollies ready for it, if they can leave them alone long enough to wrap!! The youngest of the family certainly enjoyed his older siblings playing with this toy!! I am sure this will continue to be popular in the Hex Mum household, until the dentist tells them otherwise!! 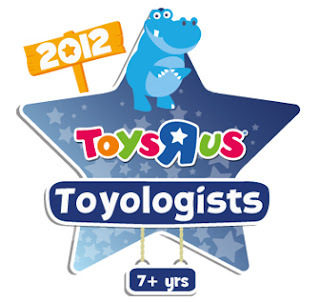 We are very proud to announce that The Morrisons have been chosen to be one of the 24 Toys R us Toyolgists for 2012. We will be testing out The Blue Group, aged 7+ years. However, if you have children younger than this, there are two other groups that will be very busy putting toys through their paces. 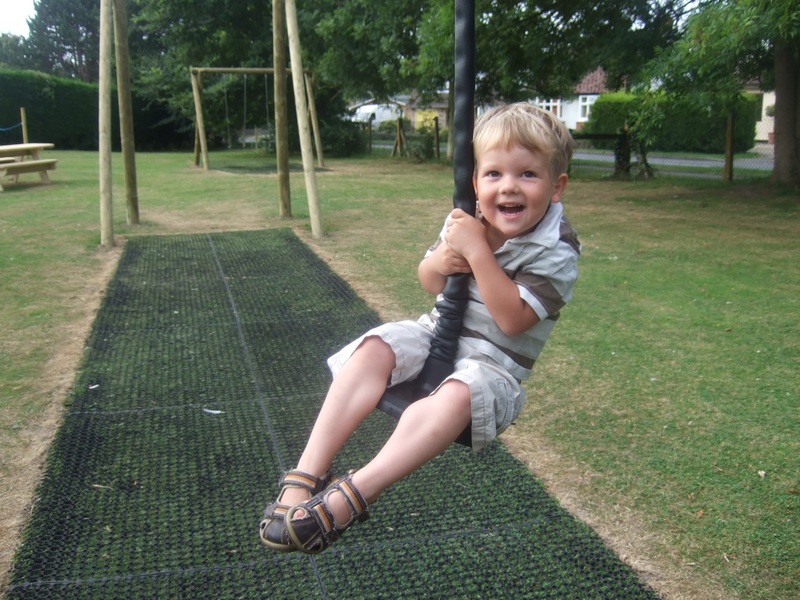 The Purple group aged 0-36 months and the Green group aged 4-6 years, so there really is something for everyone. We are very excited, although a little shocked, in fact when we got the telephone call I was completely speechless. 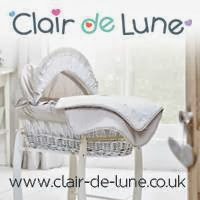 Box 1 will be with us very soon, so we cannot wait to see what fantastic toys we are going to be playing with, and hopefully point you in the right direction for those all important lists for Father Christmas. If you visit http://toysrustoybox.co.uk/ you will be able to find out about all of the lovely toyologists and our adventures. Back in the summer of 2010 Make-A-Wish UK granted the wish of five year old May who was fighting a rare cancer called Rhabdomyosarcoma – she wished to be a princess for the day. 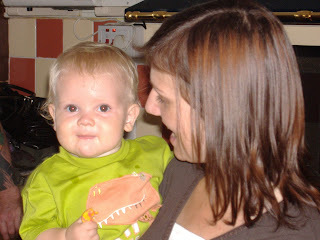 Sadly May passed away just a couple of months after her wish, two years ago today, on 31st August 2010. It's only a minute or so long, so please watch the video if you have a moment to spare. And if you could share it with as many people as you can it would mean so much to Neil and his family. If you are able to make a donation too, to help grant a wish to another child like May, you can ‘Remember May’ at www.justgiving.com/RememberMay.